Does Your Teaming Agreement Avoid the SBA Definition of Affiliation? When small businesses become subject to the SBA affiliation of definition, there is generally a government bid submitted where there are teaming agreements or joint venture agreement relationships. Having improper relationships can cause companies to lose the contract and income for their respective businesses. There are several decisions from SBA-OHA that address the various affiliation approaches and adverse decisions from the SBA. 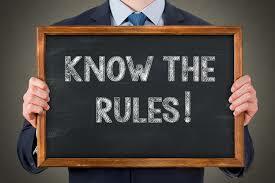 Although the SBA has issued new rules that reduce the chances of affiliation between similarly situated companies, cases are litigated every day because of the unique facts of each case. Your company can reduce the likelihood of losing a contract in a size protest by keeping the following points to when defining the affiliation meaning. Concerns and entities are affiliates of each other when one controls or has the power to control the other, or a third party or parties control or has the power to control both. It does not matter whether the control is exercised, so long as the power to control exists. See also information on SBA 8a annual report, SBA form 601 and SBA Form 1450. SBA affiliation rules consider factors such as ownership, management, previous relationships with or ties to another concern, and contractual relationships, in determining whether affiliation exists. Control may be affirmative or negative. Negative control includes, but is not limited to, instances where a minority shareholder has the ability, under the concern’s charter, by-laws, or shareholder’s agreement, to prevent a quorum or otherwise block action by the board of directors or shareholders. Affiliation may be found where an individual, concern, or entity exercises control indirectly through a third party. In determining whether affiliation exists, SBA will consider the totality of the circumstances and may find affiliation even though no single factor is sufficient to constitute affiliation. In determining the concern’s size, SBA counts the receipts, employees, or other measures of the size of the concern whose size is at issue and all of its domestic and foreign affiliates, regardless of whether the affiliates are organized for profit. The SBA definition of affiliation can be tricky. When writing proposals, companies must be extremely careful about what tasks the teaming partner or subcontractor will be performing. See also Small Business Set Aside Bid Protests. The general rule under the SBA affiliation meaning is that the prime contractor must perform the primary and vital requirements of the contract. Government contractors that are not familiar with what does affiliation mean and the complex rules and legal applications should seek legal advice before submitting their proposals. Otherwise, they may become the subject of a small business size protest. See more information about SBA affiliation rules and mergers and acquisitions of government contractors. 13 CFR part 121.103 How does SBA determine affiliation? (1) Concerns and entities are affiliates of each other when one controls or has the power to control the other, or a third party or parties controls or has the power to control both. It does not matter whether control is exercised, so long as the power to control exists. (2) SBA considers factors such as ownership, management, previous relationships with or ties to another concern, and contractual relationships, in determining whether affiliation exists. (3) Control may be affirmative or negative. Negative control includes, but is not limited to, instances where a minority shareholder has the ability, under the concern’s charter, by-laws, or shareholder’s agreement, to prevent a quorum or otherwise block action by the board of directors or shareholders. (4) Affiliation may be found where an individual, concern, or entity exercises control indirectly through a third party. (5) In determining whether affiliation exists, SBA will consider the totality of the circumstances, and may find affiliation even though no single factor is sufficient to constitute affiliation. (6) In determining the concern’s size, SBA counts the receipts, employees, or other measure of size of the concern whose size is at issue and all of its domestic and foreign affiliates, regardless of whether the affiliates are organized for profit. (7) For SBA’s Small Business Innovation Research (SBIR) and Small Business Technology Transfer (STTR) programs, the bases for affiliation are set forth in § 121.702. (8) For applicants in SBA’s Business Loan, Disaster Loan, and Surety Bond Guarantee Programs, the size standards and bases for affiliation are set forth in § 121.301. For help applying the SBA definition of affiliation to your teaming and SBA subcontracting relationships, call Watson’s government contract and SBA lawyers at 1-866-601 5518. FREE INITIAL CONSULTATION.